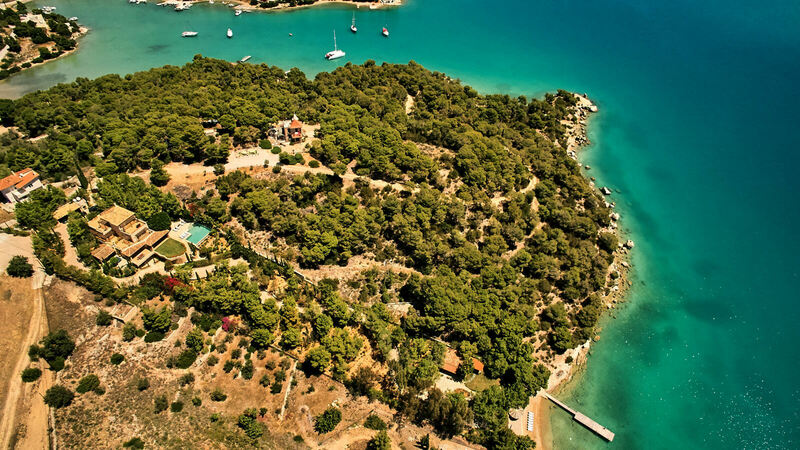 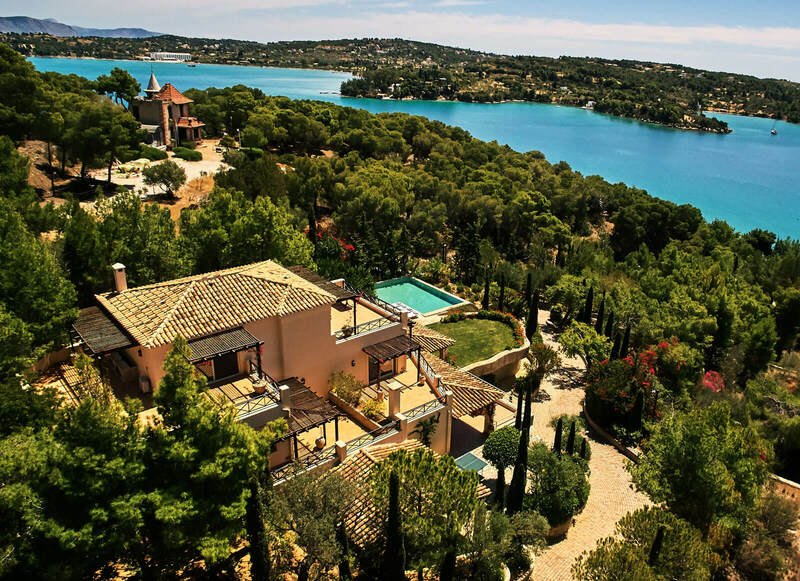 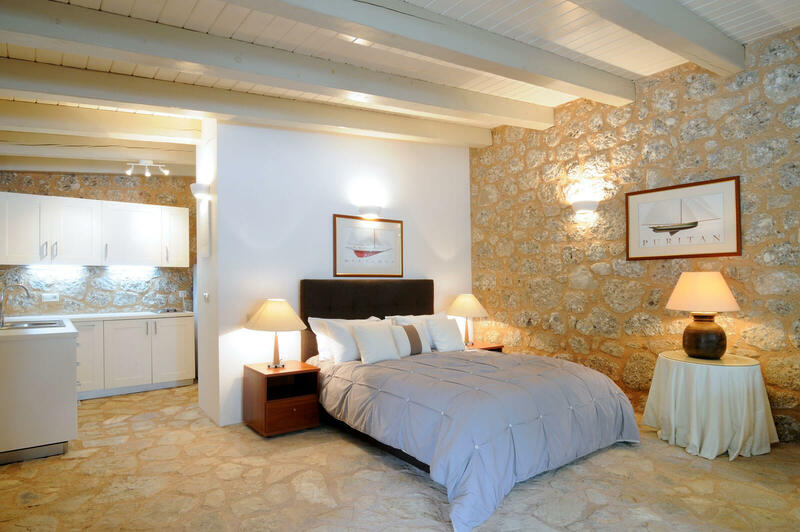 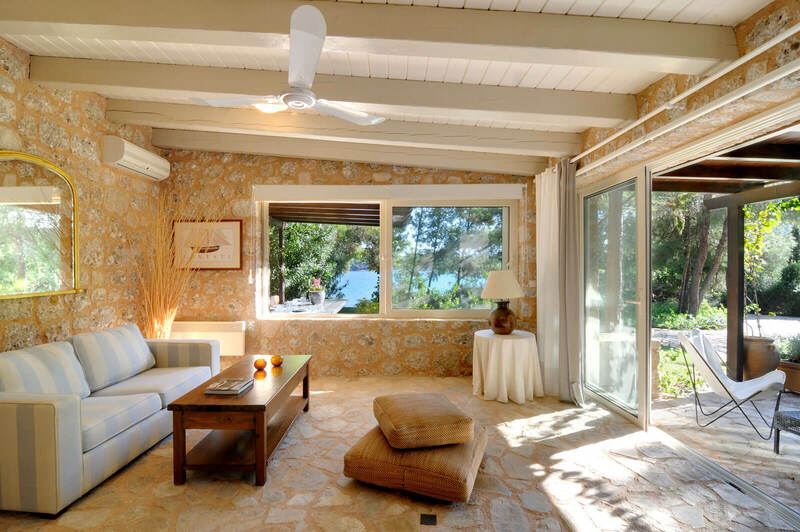 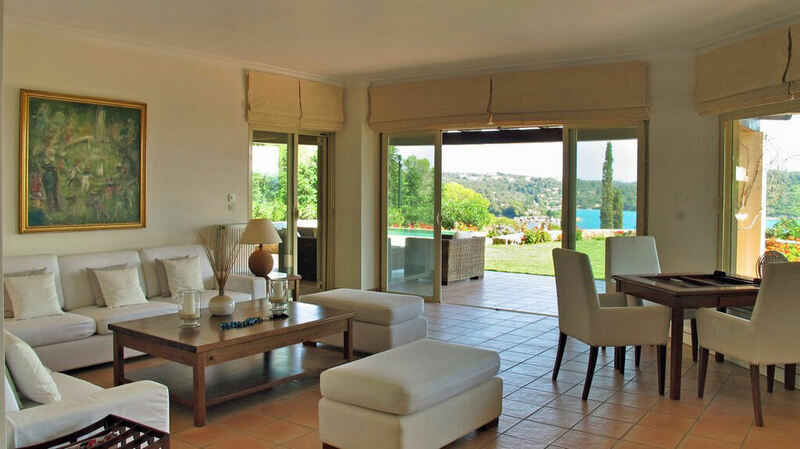 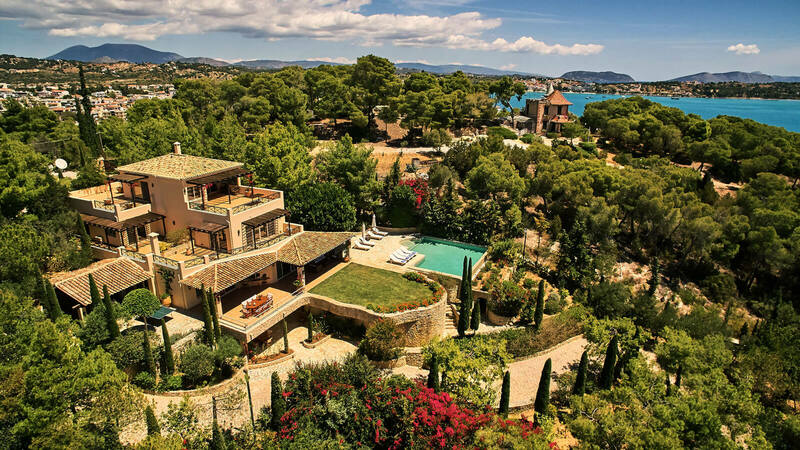 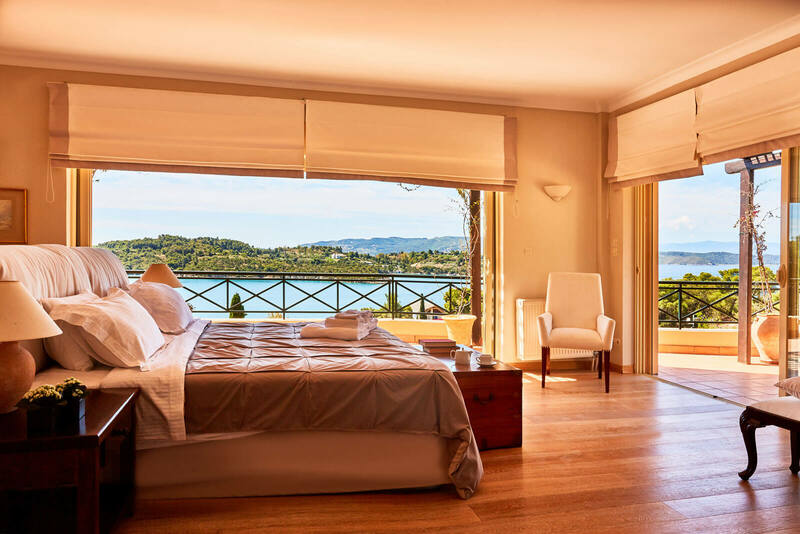 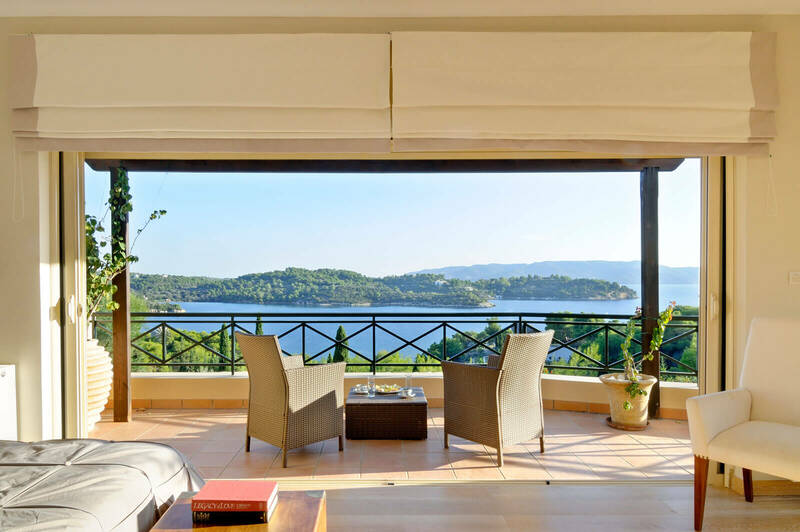 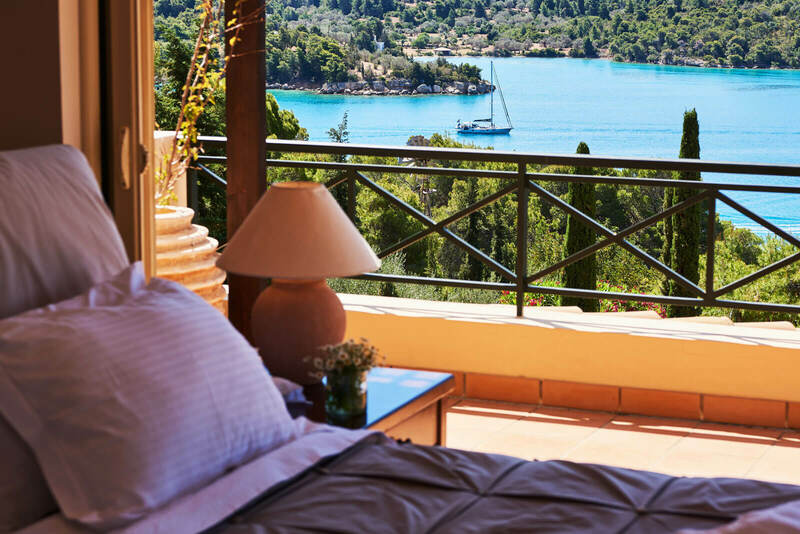 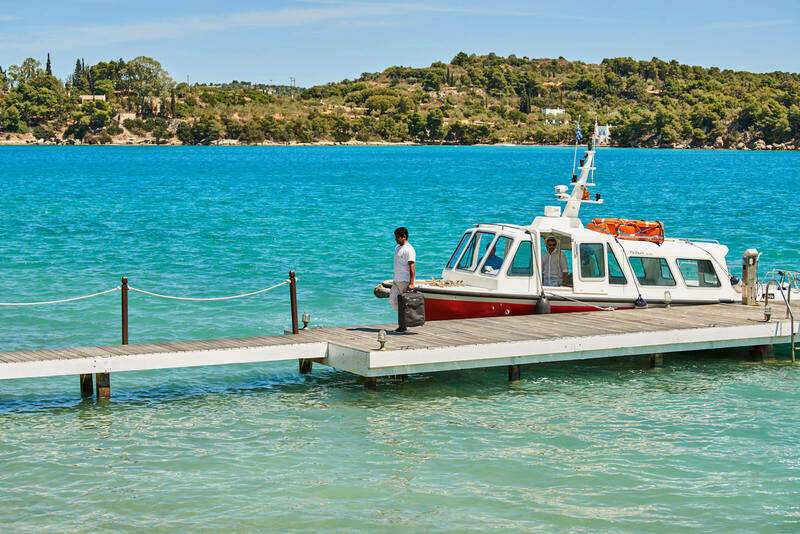 The Beachfront Villa, situated in the entrance of Porto Heli Bay, has its own private sand & pebble beach and dock for mooring, offers panoramic sea views from the Main House and separate Beach House, and has a large landscaped garden, surrounded by trees. 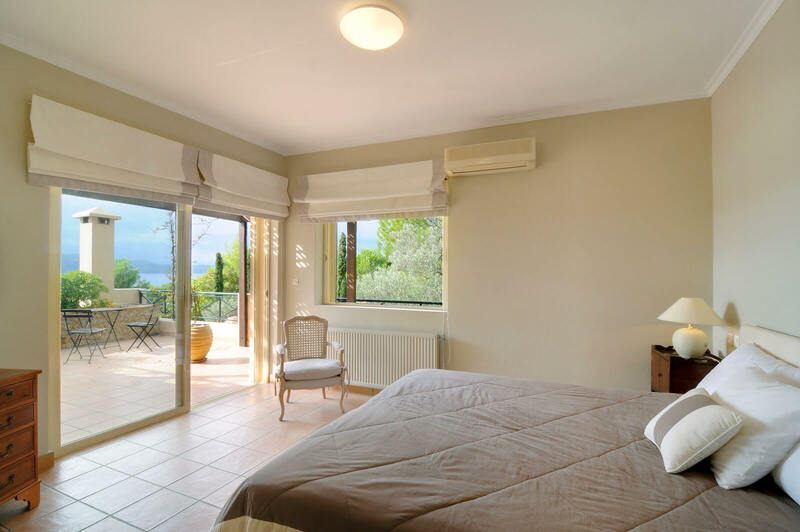 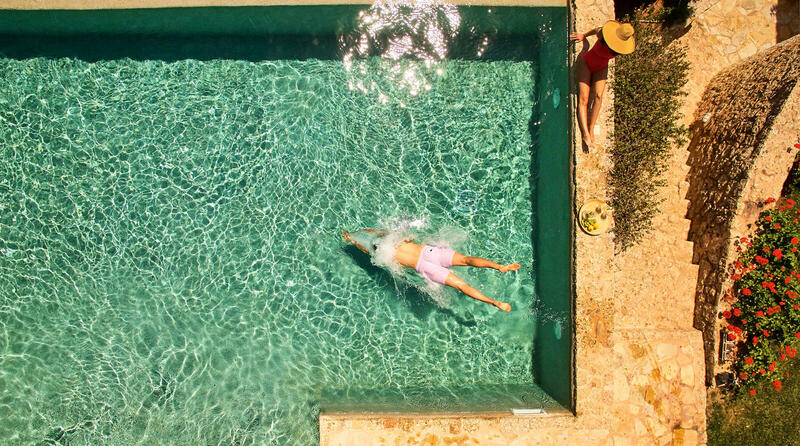 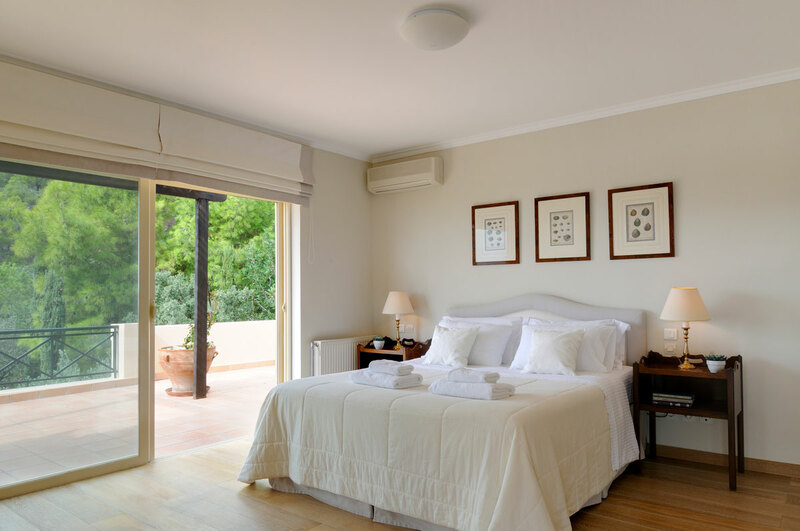 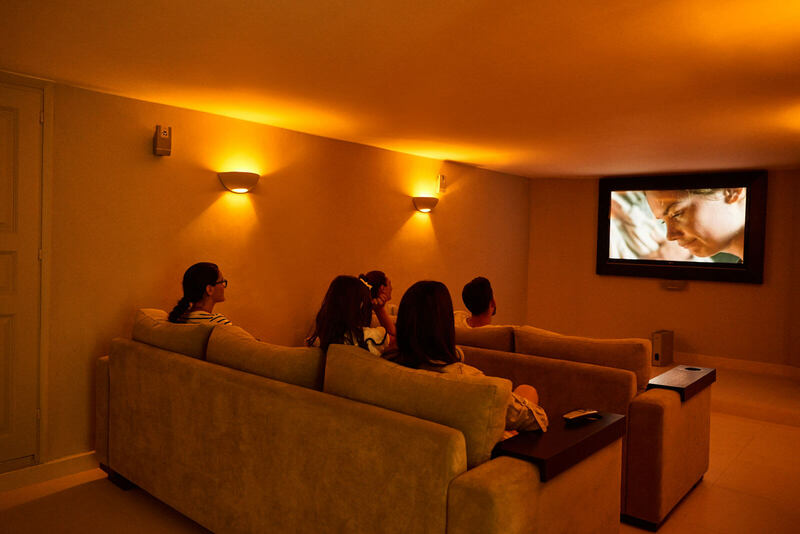 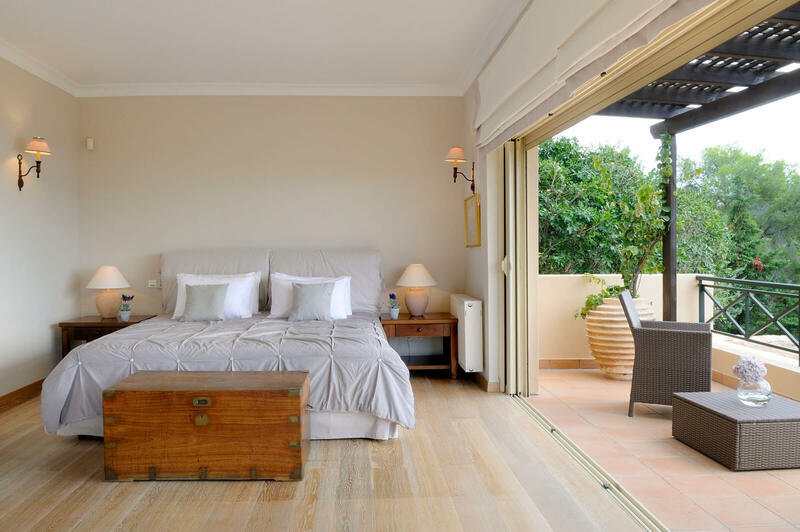 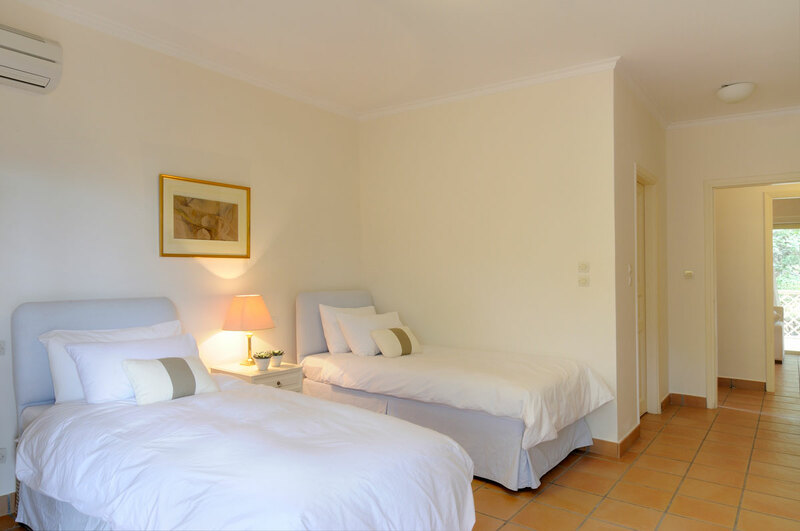 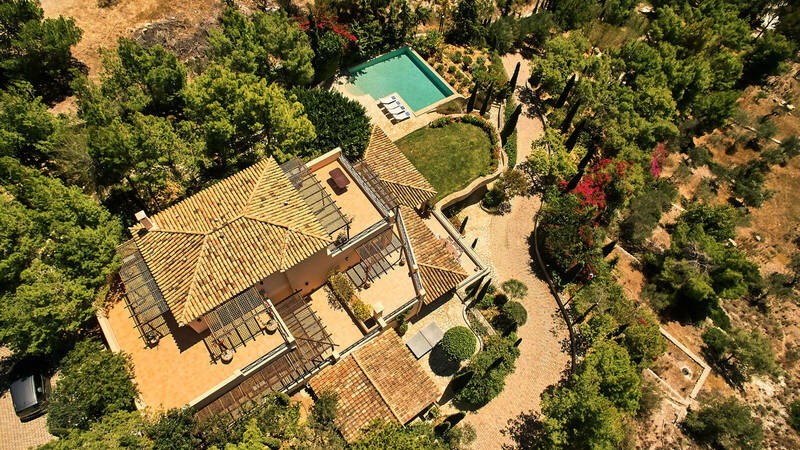 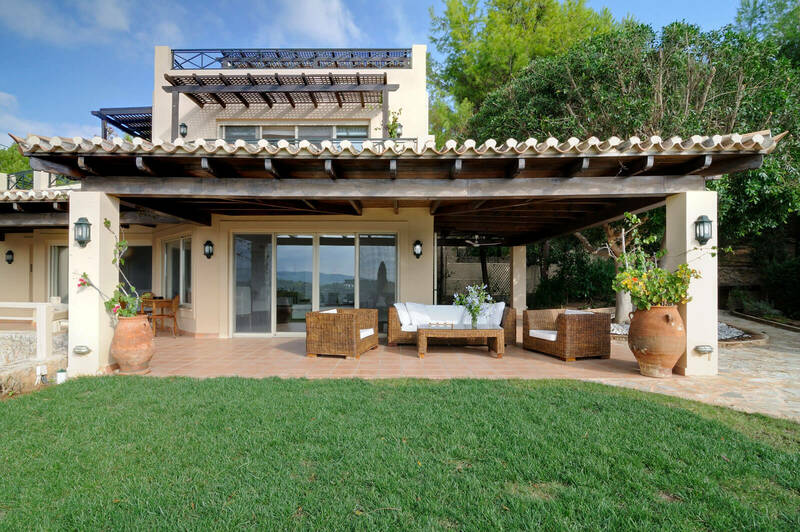 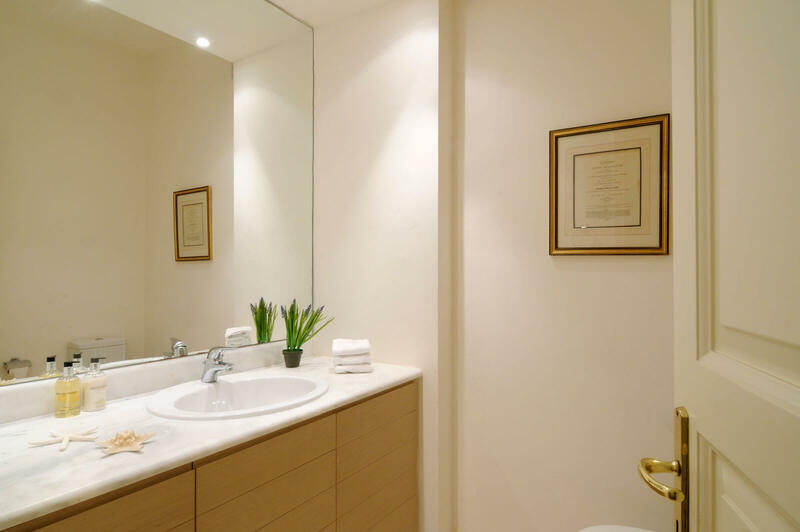 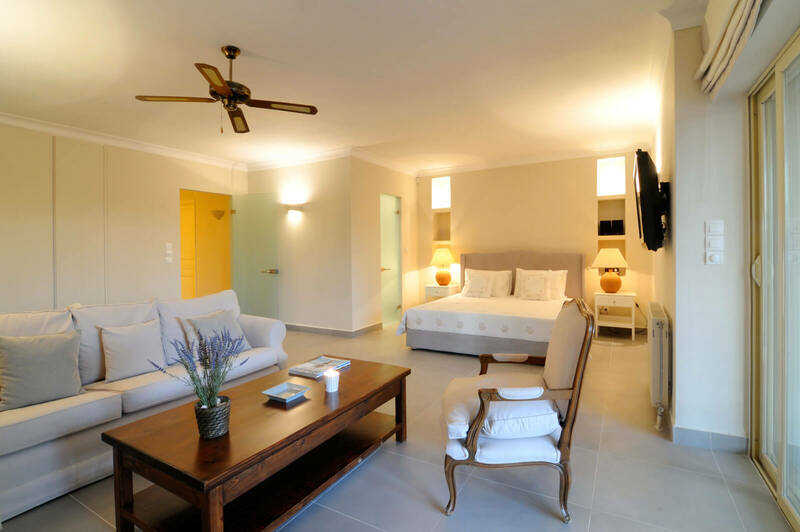 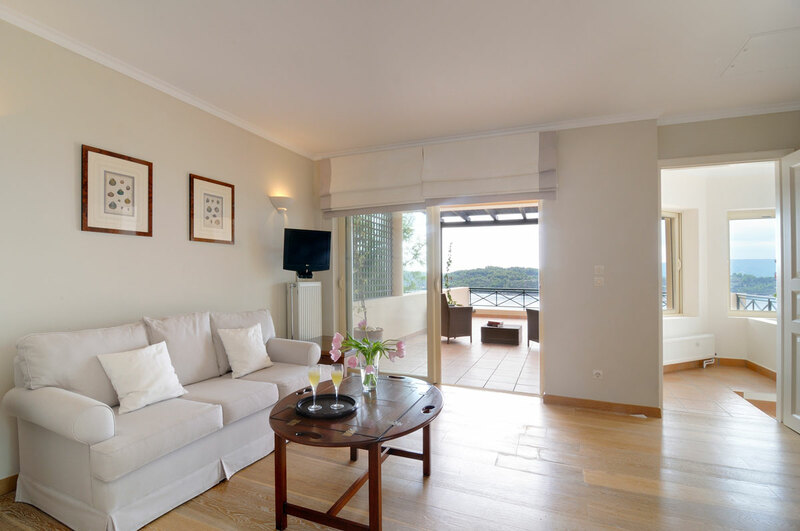 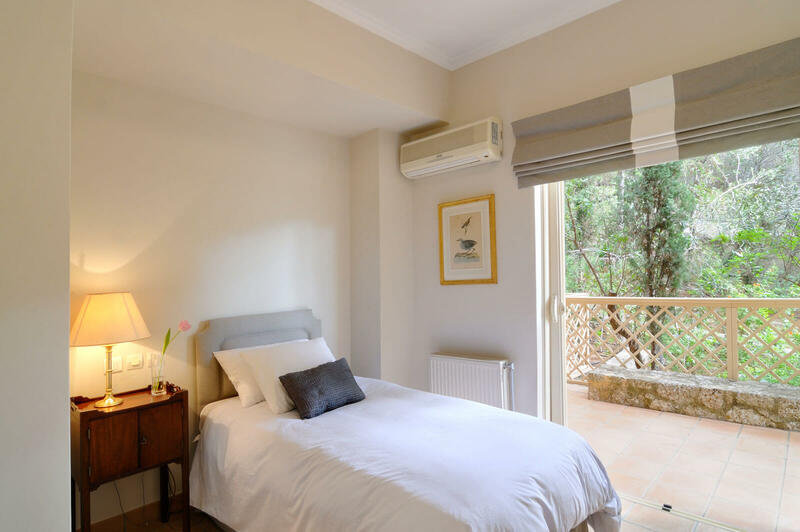 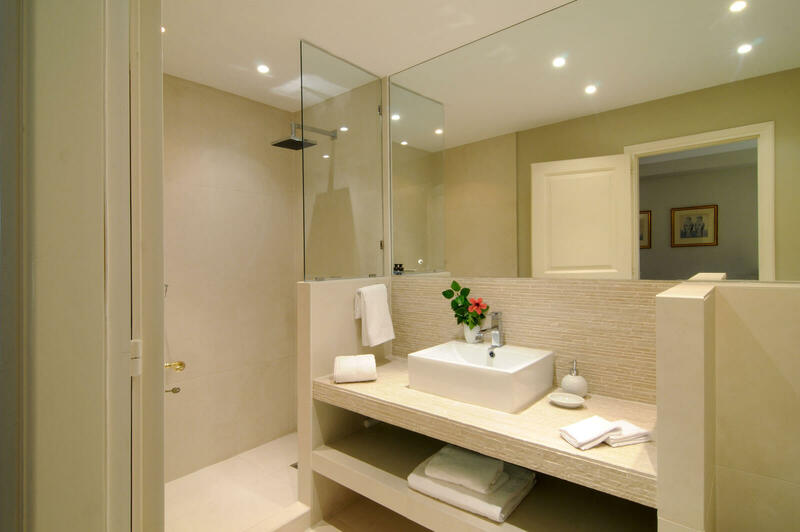 The Villa offers 9+1 bedrooms, with minimal bathrooms, split in five levels with elevator, spacious living areas, 2 BBQS, a home cinema room, a mini gym with sauna, a swimming pool and numerous outdoor sitting, lounging and dining areas. 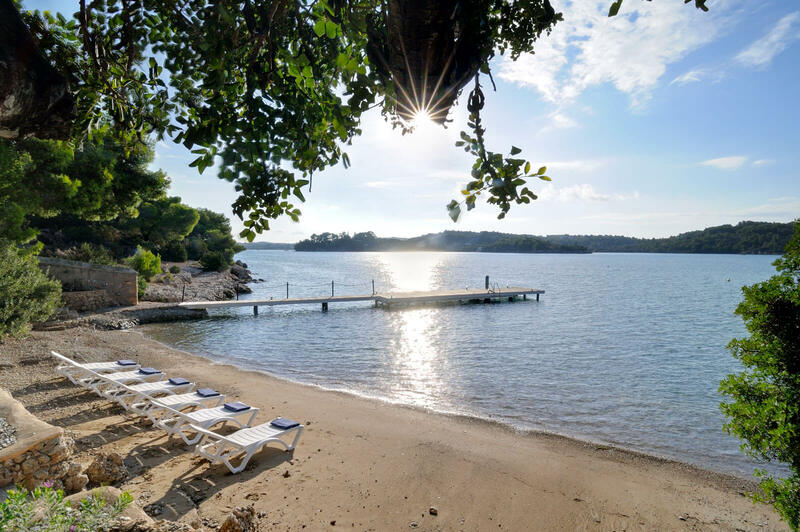 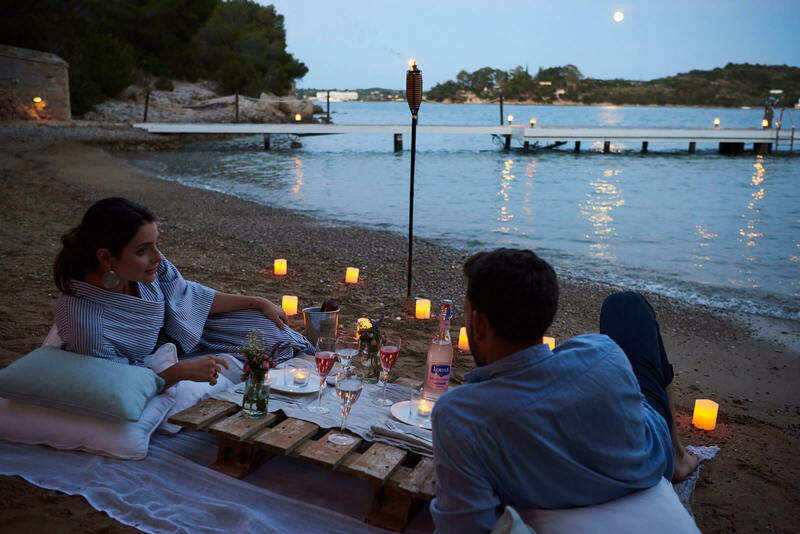 The guests can enjoy a table tennis and backgammon table, as well as a canoe / kayak at the private beach.